The wizened Indian Fakir lies down on a bed of razor-sharp nails and rests comfortably as a baby in her mother’s arms. But walk barefoot on the beach and step on an old pop-top? You cut your foot open and require stitches. Plus you’ll need a tetanus shot and slathers of antibiotic cream to avoid infection. Thousands of pointy nails all work in concert to make a safe singular surface, but one dull edge can wreak havoc. Doesn’t seem logical but it’s true. Moved from metaphor to materiality, we can see this phenomenon at work every day. Look at politics. Just watch TV news where each broadcast is breathlessly introduced as “breaking news.” Every day we’re subjected to unbelievable scandals, salacious events, and levels of hypocrisy we’ve never seen before. But after a while, they wash over us in a never-ending tsunami of outrage and we find ourselves more and more inured to the awful news. But before you brush this off with a wave of your hand and a dismissive, “there they go again,” think of this. It’s not just politicians who anesthetize us with too much information. You do it to your clients and potential clients too. Don’t believe me? Take a quick look at your website or reread one of your marketing brochures. Read through every bit of information listed and then tell me how anyone would know what you stand for. More important, tell me how anyone could understand why you would matter to them. Sure, your website is jammed full of products and programs, biographies, lists of specialties, hours of operation, maps and directions, accreditations and awards, and god knows what else. But does it actually tell your purchasers what you mean to them? All of these businesses are big, complicated, and multi-faceted. Yet you can describe them with a word or two. 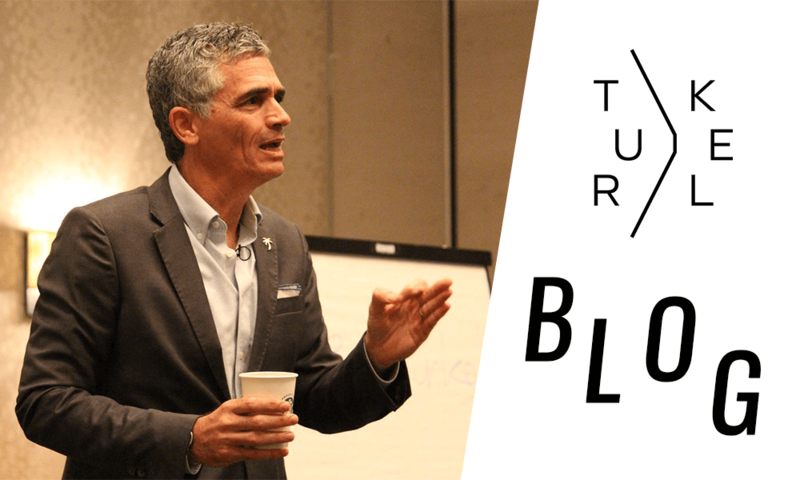 So, the question you must be asking is “what do I stand for?” Because until you know what you stand for and how it impacts your customers, how can you honestly expect to effectively sell yourself and your services? Socrates advised us to “know thyself.” More recently, the words Temet Nosce (Know Thyself) were posted above the door in the Oracle’s kitchen in the movie The Matrix. But when it comes to marketing yourself and your business, perhaps better than knowing thyself is to know why you matter to your customer. And if you expect them to understand and retain the answer, remember to keep it simple. 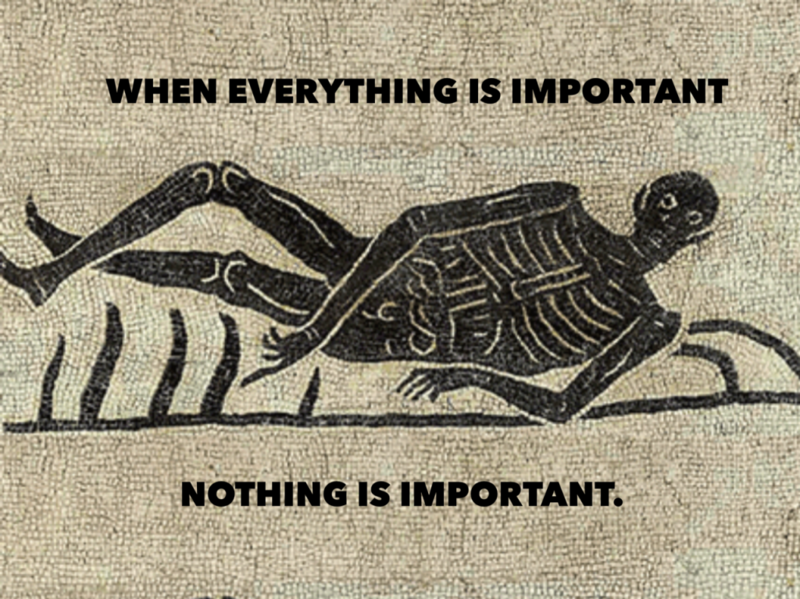 Because as you’ve seen, when everything is important, nothing is important.